Hemp Bombs has an outstanding product line known for its variety and quality. 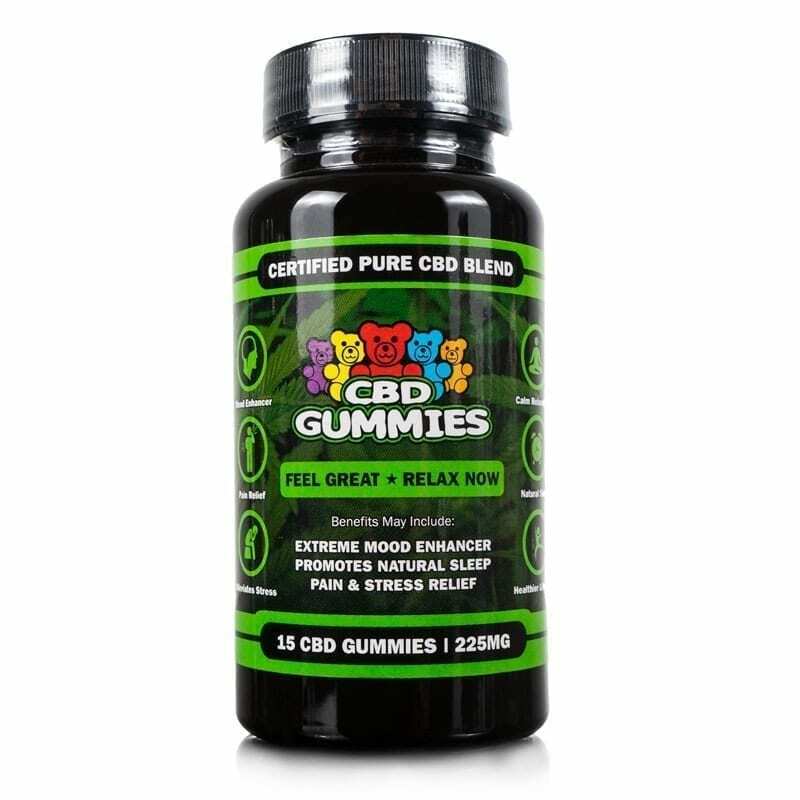 Our promise is to deliver CBD effectively and enjoyably to the consumer. 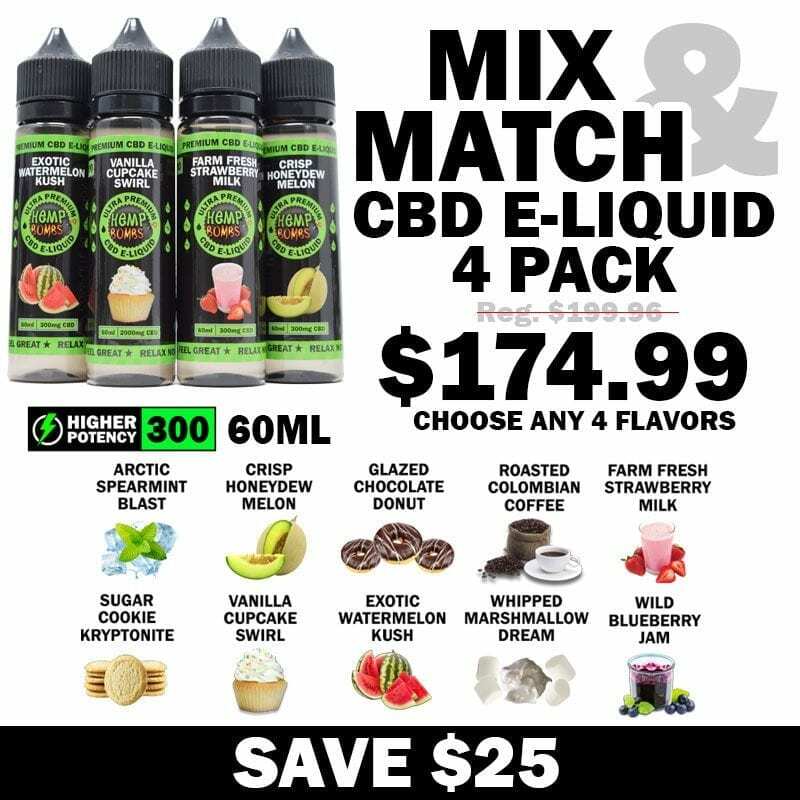 As a part of that promise, Hemp Bombs now offers “Mix and Match” E-Liquid bundles. 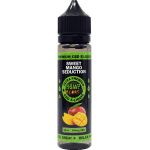 We understand that paying a la carte can be an expensive way to get your E-Liquid fix, so we’ve put together packages where the consumer can more affordably get a taste of our whole product line. 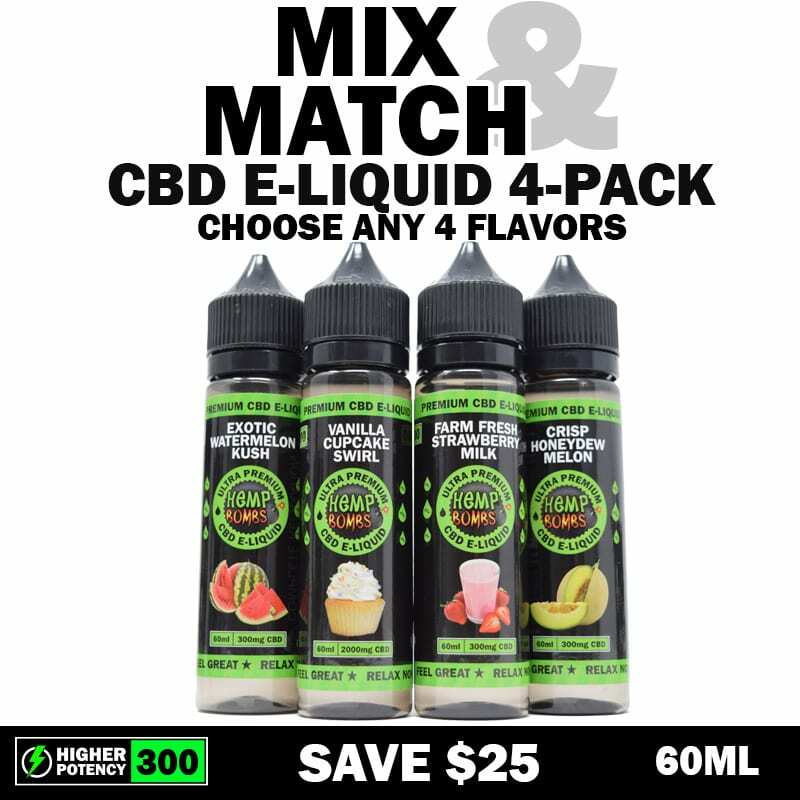 Our “four pack” E-Liquid Bundle allows you to choose four of our 300mg E-Liquids at a discounted price. With eleven tantalizing flavors, you will have to make some hard decisions, but this is a good way to sample a few different options without placing a dent in your wallet. Choose from Sweet Mango Seduction, Arctic Spearmint Blast, Crisp Honeydew Melon, Wild Blueberry Jam, Whipped Marshmallow Dream, Vanilla Cupcake Swirl, Roasted Colombian Coffee, Sugar Cookie Kryptonite, Watermelon Kush, Strawberry Milk and Glazed Chocolate Donut. Hemp Bombs E-Liquids are manufactured with high quality ingredients and attention to detail, tested internally and by third parties for quality and consistency. 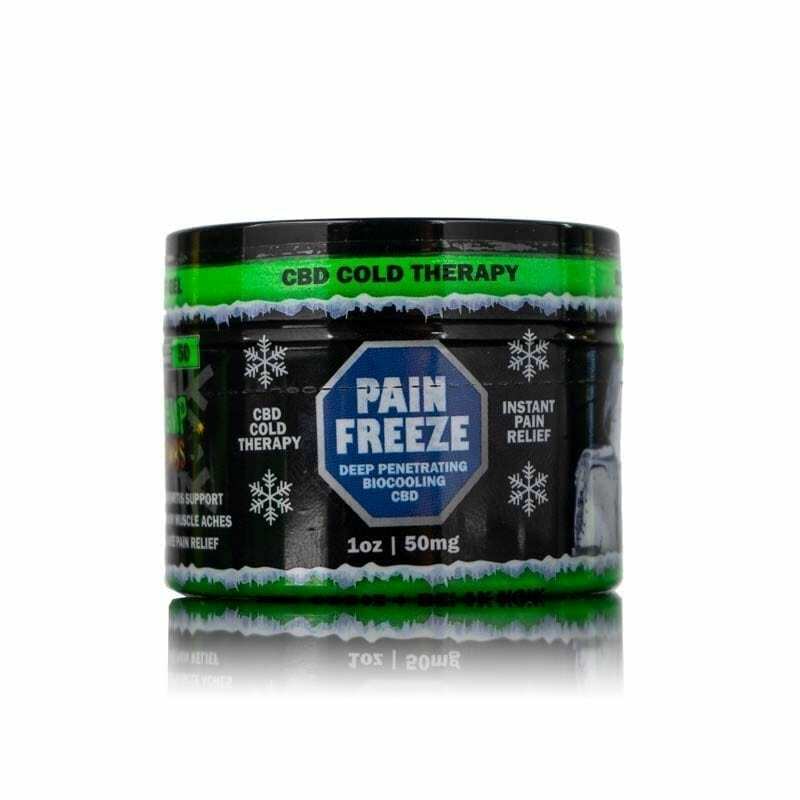 Hemp Bombs CBD is sourced from premium grade CBD Isolate, with no trace of THC. Finally, vapers can get in on the therapeutic effects of CBD while enjoying their favorite pastime. 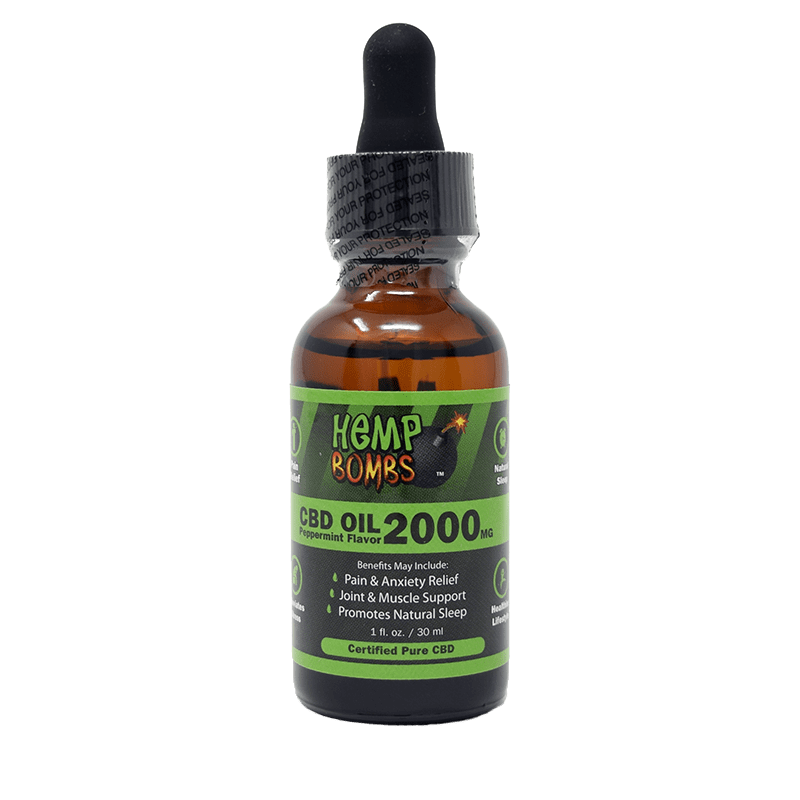 Reap all the benefits of Hemp Bombs’ CBD-enriched E-Liquid today. Add to any vape device. This was my second order and a great savings for their amazing e-liquid. It not only has made me feel calmer and helped with my anxiety and insomnia, but I’ve found myself vaping my nicotine less and less with use! Looking forward to continuing to see these benefits! I really like Hemp Bombs but wish they offered an Apple Pie! The 4-pack is a great idea but it’s a little expensive. 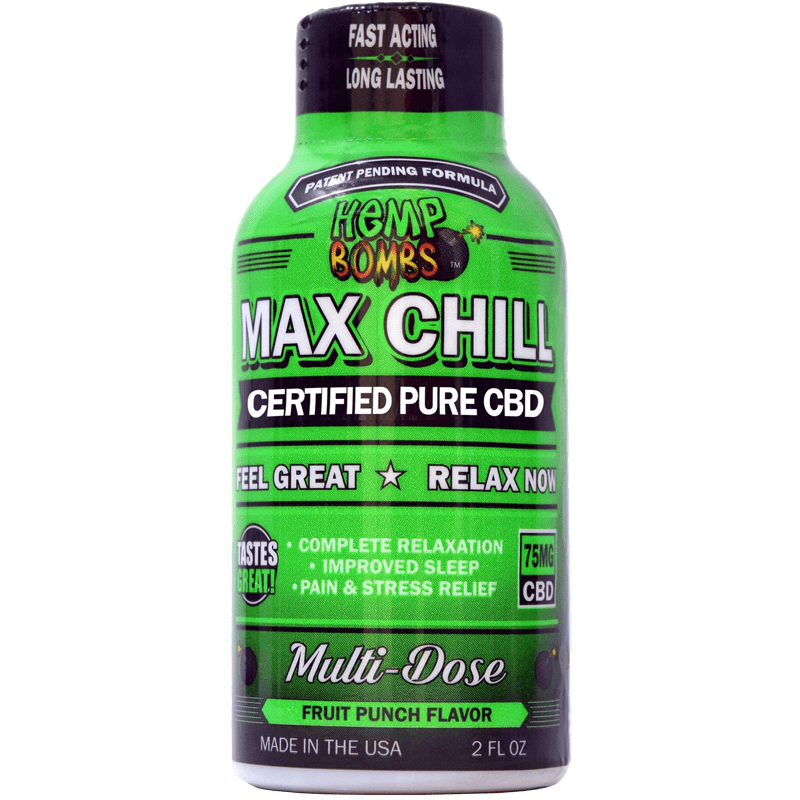 I wonder if Hemp Bombs has thought about offering a 2-pack. I like the flavors but I wish they were less subtle. I started buying from you guys after I saw a review on Vapor Vanity. You guys rock! As a student, I can appreciate all the discounts I can get. Thanks Hemp Bombs! so, if I get this 10 pack of vape juice, will it go bad? I dont use it as often as most people do. i vape at night when I am about to go to bed. I wish this was cheaper. I would love to get this. What a neat option. Christmas is over, but I still have birthdays. Gonna have to get my Calendar out!